Just good old fashioned plain massage wax. 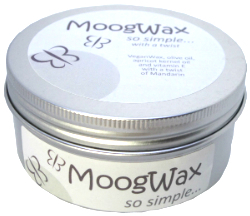 MoogWax So Simple is a plain massage wax containing only Vegan Wax, Olive Oil, Apricot Kernel Oil, Vitamin E and a hint of Mandarin oil. It is a great wax to have in your clinic as it is suitable for all clients. So Simple has the great balance of grip and smoothness that characterises all of our waxes and so is suitable for sports, remedial or relaxation massage. 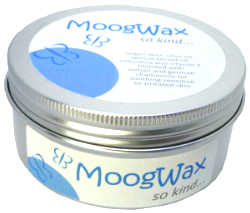 MoogWax so simple doesn't contain infused arnica oil so it's suitable for anyone including pregnant clients. If you're an aromatherapist, you can use this as a base to add your own lovely essential oil blends.